Elrod, Green & Heimer has been earning the trust of Austin and surrounding areas for over 75 years. We provide preventative, restorative, cosmetic and advanced dental care for all ages. Elrod, Green & Heimer offers Invisalign®, a product that straightens your teeth using a custom-made series of aligners created for you and only you. Elrod, Green & Heimer offers conscious sedation to help you relax during a medical or dental procedure. Check out Elrod, Green & Heimer's latest news and upcoming events. Wake up to a beautiful smile. We have been earning the trust of Austin and surrounding areas for over 75 years. 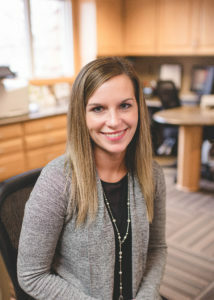 You can count on our friendly, highly experienced staff to always provide the highest standard of dental care in a clean, state-of-the art environment. Your comfort is our top priority. With a combined 74 years of dental service under one roof, you can be assured you are in good hands. WELCOME TO THE EGH FAMILY TAYLOR! Our state-of-the-art offices provide patients with the latest technology for preventative care along with restoration and other advanced dental care. We get to know our patients on an individual level to offer them the latest technology for their dental needs. Print and complete any patient forms you need for an upcoming appointment. "The entire staff was very friendly and I give them TWO THUMBS UP. I would strongly recommend them. Thanks for taking care of me and making me feel at ease." "I would especially like to thank Melissa and Jessie for their excellent care and kindness during my session today. I got through a difficult time for me with flying colors. Thank you, thank you!" "Everything was perfect........as usual! We have recommended your practice to many and will continue to do the same. Thank you for your wonderful service. "Terrific visit with my young children, staff were very supportive during my family visit." "You were great with the kids! So excited to have a dentist that cares about their experience. Thanks!" "I love the fact that I can get my new crown in one appointment. No impressions or return appointment. I've told a couple of people about this and they were shocked that this can be done in on stop! Very nice fit of the new crown, I love it!" "Always very friendly and helpful. I always recommend Dr. Green to my friends and relatives." "Love my hygienist and dentist! Fabulous practice!" "Dr. Green is the best dentist. I myself think all the dentists at this office are wonderful but when it comes to my children I only go with Green. He is absolutely wonderful with children. He takes time with their curiosity and always makes them feel important." "A great place to have dental work done!" "The staff is always friendly, kind and caring." "Peter Green has a magical touch and inspires confidence with his explanations and actions." "Thank you so much for all the time and work that you put into Christmas in the Southwest. It was truly a wonderful time for our kids! They loved the bags (very generous) of dental items very much. I have two little ones flossing their heads off and three cats trying to grab the strings. A good time is had by all! Lastly, it was so nice to be greeted—coming and going—by the door. You are all definitely a class act!" "Just want you to know the two back teeth you so carefully worked on have not given me any pain or discomfort at all. Your diligence and skill really are quite exceptional... and are appreciated very much. Your Kindness in other ways is also really extraordinary and I thank you much. P.S. Your nurse was great too!!" 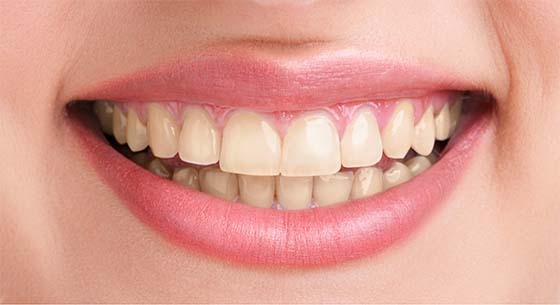 If you are dreaming of a smile makeover because you are not happy with the way your teeth look we can help. Achieving the smile you dream of can be a big boost to your confidence and self-esteem. We offer total smile makeovers through Invisalign®, dental implants, KoR Whitening, crowns and porcelain veneers.